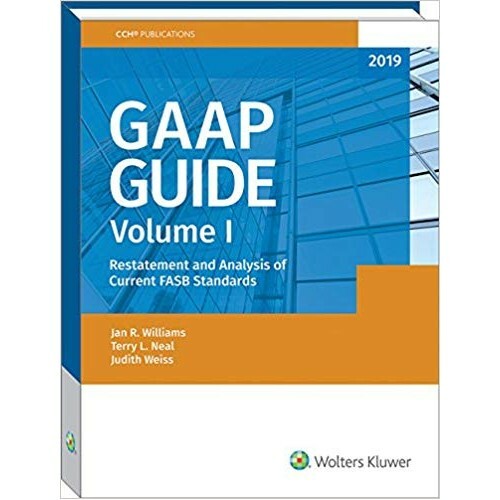 CCH's GAAP Guide provides the most comprehensive resource for understanding and applying authoritative GAAP literature in clear language. 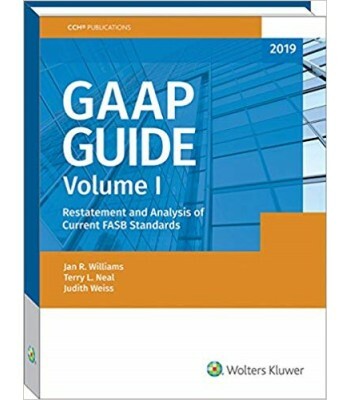 Each FASB Accounting Standards Codification pronouncement/topic is discussed in a comprehensive format that makes it easy to understand and implement in day-to-day practice. Practical illustrations and examples demonstrate and clarify specific accounting principles. The Guide is organized by ASC Topic, and each chapter contains guidance for both major standards and more narrow transactions to help you quickly locate the information you need as easily as possible. The chapters' tables of contents list all ASC topics covered, including select industry coverage, and the page on which they begin, and the Index provides a quick page references to the content you need. Content is current and authoritative--written by leaders in the field, with analysis, practice pointers, and illustrations to filter the complexities. The Practice Pointers throughout this edition explicate, in plain English, how to apply the standards just discussed. Observations enrich the discussion by presenting interesting aspects of GAAP, such as conflicts within the authoritative literature. The GAAP Guide satisfies all AICPA peer review standards and requirements.